Right next to the train station. There are few places as good for a cafe as that, and Espresso Boutique’s location just next to Eagle Junction railway station is pretty spot on. It looks like a hole-in-the-wall cafe at first glance, at least until you go inside, or see the menu. Espresso Boutique is a cosy cafe, with a large table dominating the space, and a number of smaller ones scattered around it. There is a bookshelf (with borrowable books) and a few small tables up against one wall with the specials board. The cafe also features a decent kitchen, and the lunch and breakfast menus reflect this. 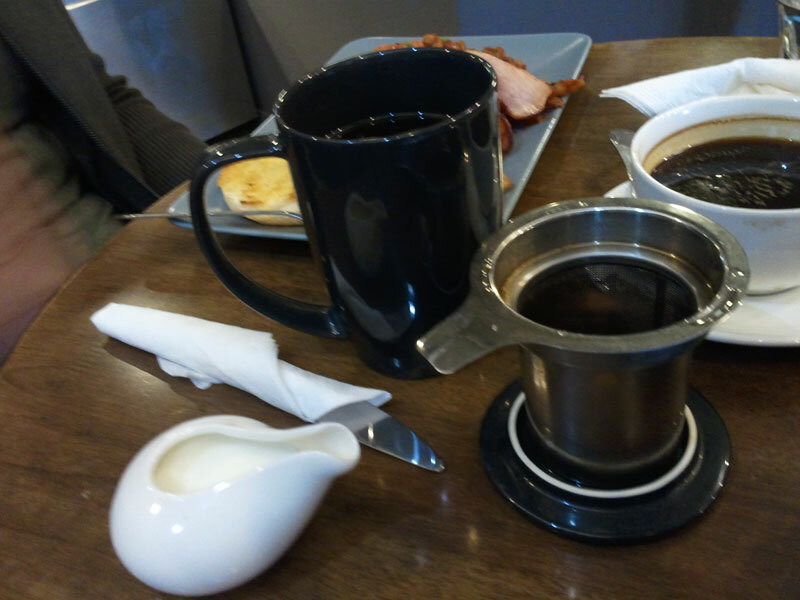 The big breakfast was not as full-on as it is at Campos, but the price reflects this as well. There was no trouble swapping out the eggs for extra mushrooms either. Espresso Boutique serves Schibello coffee and does a respectable long black, and stocks T2 tea served in nifty teapot-cups for those people who like soggy leaves. Appropriately, above the counter there is an espresso menu, listing single shot, doppio and ‘con panna’, espresso served with a dollop of whipped cream. The specials board looked interesting, with items like zucchini and sweet corn pancakes and a spinach, bacon and goat’s cheese tart. The food in the cabinet looked fresh and seemed to confirm Espresso Boutique’s claim that they sourced their ingredients fresh from the Brisbane and Clayfield markets. We did not try the lunch menu, but it did look impressive. From the layout to small touches like bag hooks under each table, Espresso Boutique’s attention to detail was noticeable. 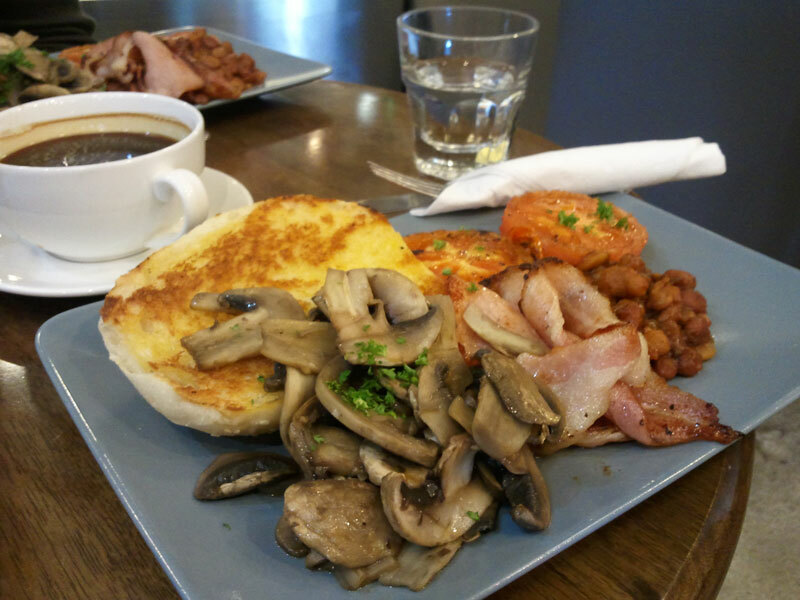 It did not appear to be as much of a coffee specialist as some other cafes, such as the Coffee Guy, but the cafe certainly succeeds as somewhere to grab a light meal on the weekend. 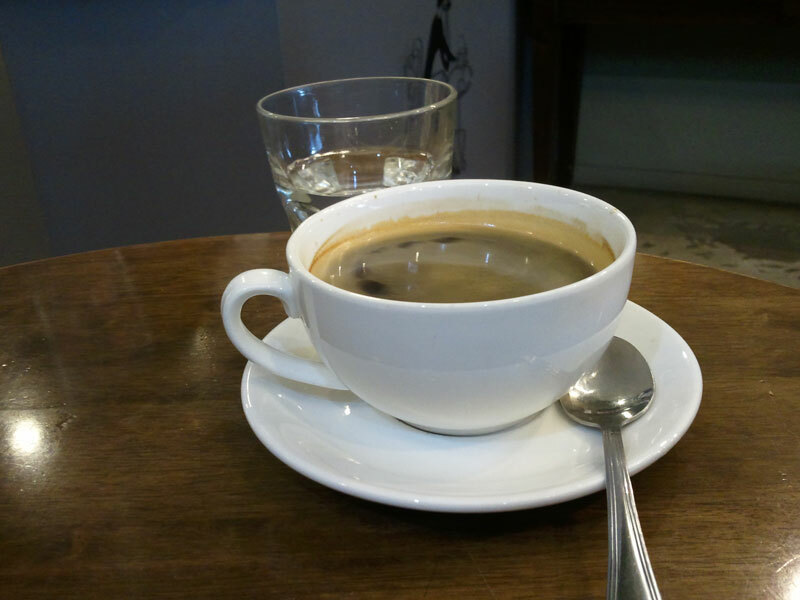 I would be surprised if Espresso Boutique isn’t as good when you’re grabbing a coffee on the way to the train as well.